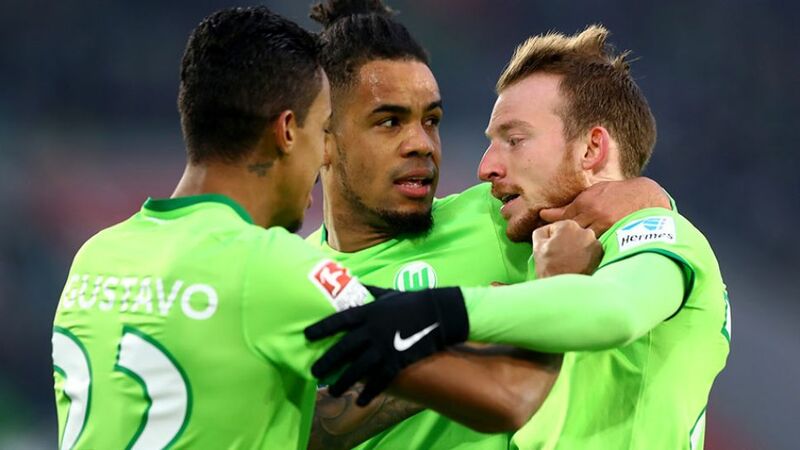 VfL Wolfsburg came from behind to inflict only the second defeat of the season on TSG 1899 Hoffenheim with a 2-1 win at the Volkswagen Arena. Just over a year after taking charge of a relegation-threatened Hoffenheim, Julian Nagelsmann has transformed the team into one capable of challenging for Europe, and last season's UEFA Champions League quarter-finalists Wolfsburg did not imbue any fear. Kerem Demirbay almost put the guests in front when he curled a 20-yard free-kick plum onto the crossbar in the 16th minute, before Steven Zuber provided a neat finish to Demirbay's assist ten minutes later to put Hoffenheim ahead. Daniel Didavi and Mario Gomez both went close as the transformed hosts immediately mounted a reaction in the second half. They were rewarded five minutes after the restart, when Maximilian Arnold's sweetly-struck volley nestled in the bottom corner. Demirbay was denied by Baumann as the game opened up, before an inspired Didavi struck from close range to earn Wolfsburg all three points. It looked almost a lost cause for Wolfsburg at half-time, but Daniel Didavi had not read that script. He went close to scoring within seconds of taking to the field at the start of the second half and, after making a constant nuisance of himself in the Hoffenheim penalty area, he scored the winning goal for the Wolves. With Hoffenheim losing, FC Bayern München were the only side in the top six not to lose on Matchday 20, their win over Ingolstadt enabling them to pull seven points clear of RB Leipzig and 15 points clear of Nagelsmann's side, who stay fifth. Zuber has now scored three goals this season – more than in both of the past two seasons combined.Only Bayern and Dortmund have collected more points than Hoffenheim in the 12 months Nagelsmann has been their coach (he took charge on 11 February 2016).Benaglio became Wolfsburg's all-time leading Bundesliga appearance maker with his 257th outing. Click here for the Wolfsburg-Hoffenheim Match Centre!